Repair you dry damaged hair with this Rich Repair Duo from Bumble and bumble Combining the Gentle Shampoo and Super Rich Conditioner it is ideal for dry, coloured, permed or overstyled hair that is craving some much needed TLC. Bumble and bumble’s Rich Repair Duo is the ideal partnership if you have dry, damaged, permed, coloured or overstyled hair. Its rich formula nourishes and conditions to leave you with smooth, sleek, shiny and more manageable hair. This cleanser is a must for your dry, coloured, permed or overstyled hair! 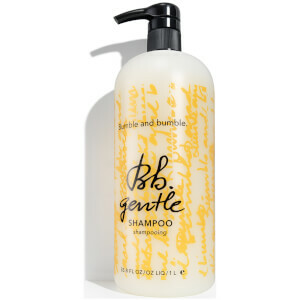 Bumble and bumble Gentle Shampoo gently cleanses your hair, while effectively moisturising with the benefits of avocado oil and adding shine. This luxurious detangler softens your unmanageable curly, coarse or chemically treated hair. 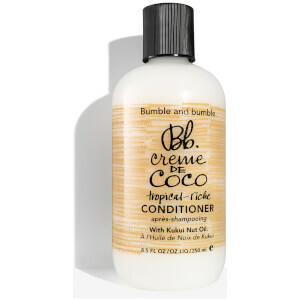 Containing several conditioning agents it also increases your hairs elasticity and shine.